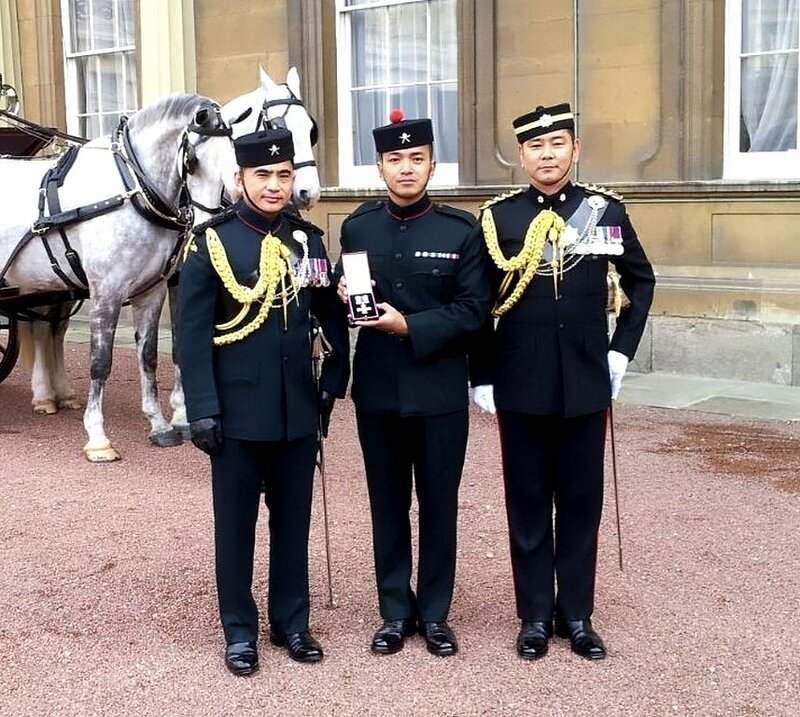 At Buckingham Palace, on 24 January 2014, Lance Corporal Tuljung Gurung 1 RGR was presented with the Military Cross by HRH The Prince of Wales. 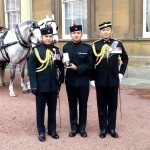 He was awarded the MC for his bravery when he took on an Afghan insurgent in hand-to-hand combat during Op HERRICK 17. 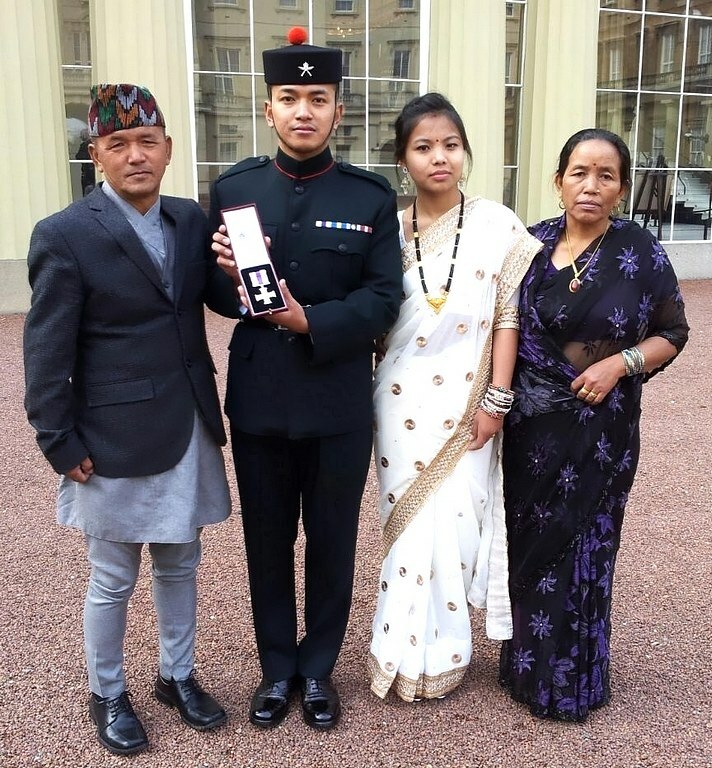 His citation reads: In the early hours of 22 March 2013 Rifleman Tuljung Gurung was on guard duty at the front gate sangar to Patrol Base Sparta, Lashkar Gah. At 3.45 am two insurgents conducted a close quarter attack on the Patrol Base and directly onto Gurung’s sangar. Gurung repelled this small arms and grenade attack and then fought the insurgents with his kukri fighting knife to prevent access to the Patrol Base. His actions adverted a potential significant loss of life. Gurung was occupying a three meter high hesco bastion construction sangar that provides a sentry position to the entrance of Patrol Base Sparta. The Patrol Base houses some 84 UK servicemen and US civilian contractors. Advisor Teams work from the base to advise, assist and train the 4th Kandak of the 3/215 ANA Brigade, which is based in a separate camp 200 meters away. On the night of 22 March 2013 Central Helmand was experiencing very poor weather. This resulted in a thick dust cloud settling over the Lashkar Gah area and visibility had reduced to 20 meters. ISAF surveillance devices used to protect the base were rendered ineffective and the aerostat balloon that would have provided 360 degree surveillance out to a distance of 7km was also grounded. The insurgents used this cover of darkness and poor visibility to mount an audacious attack on to Gurung’s sangar in order to gain access to the Patrol Base and inflict maximum casualties on the ISAF personnel based within. At 3.45 am Gurung observed two individuals running towards the sangar from a disused compound 90 meters to its south. He issued a verbal challenge, and was immediately engaged with several bursts of extremely accurate small arms fire. Rounds struck the frame of the sangar as Gurung returned fire. A bullet struck Gurung on his helmet and he was knocked to the floor. As he regained his footing to resume fire position he saw a grenade bounce off the ceiling of the sangar and land next to him. Showing exceptional instinct and courage he picked up the grenade and threw it out of the sangar. The grenade detonated, peppering the sangar with fragmentation. Gurung was again knocked off his feet. Through the obscuration of the debris he quickly identified an insurgent climbing into the sangar. Due to the close quarters, and unable to bring his rifle to bear, Gurung instinctively drew his kukri and slashed at the insurgent. In the ensuing hand to hand combat Gurung and the insurgent fell three meters from the sangar, landing on the ground outside of the Patrol Base. Exposed to possible further insurgent firing positions, he aggressively and tenaciously continued to fight with his kukri. The two insurgents, defeated, turned and fled. Gurung then quickly climbed back into the sangar by which time the Quick Reaction Force had arrived. 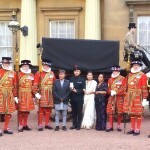 Gurung reported the incident calmly and bemoaned the fact he had not been able to prevent the insurgents escaping. 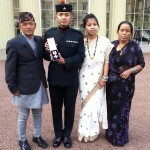 Gurung’s actions showed the highest levels of gallantry and courage. His speed of reaction and utter disregard for his own safety prevented two armed insurgents from gaining access to the Patrol Base. His actions prevented loss of life and were exemplary for a Private soldier. 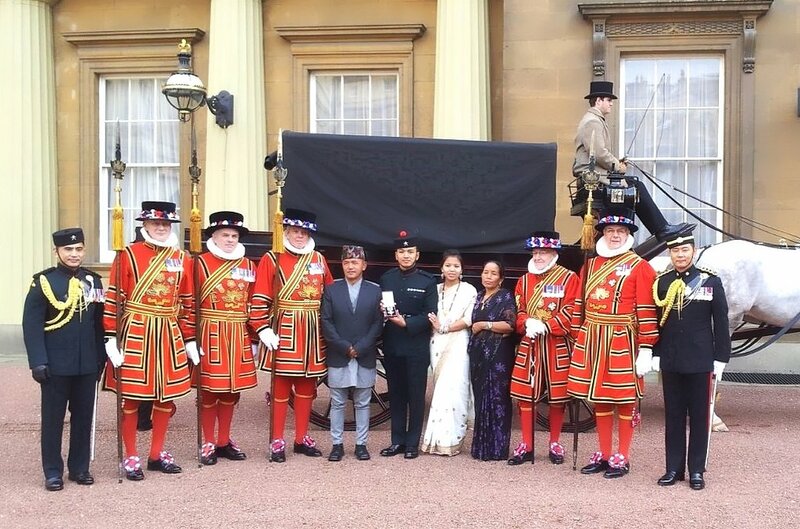 In the face of the insurgent, Gurung’s valour and decisive action was out of all proportion to that expected of such a junior rank and deserve recognition of the highest order.